Star is a set of hot desert ambience from Todd Fletcher. He is based in Phoenix, AZ, so it is a natural that he performs in that style of e-music. And Steve Roach produced Fletcher's first album, Byzantiuym, so the influences, however subtle, are there. (There is no producer credit on this CD, so it is safe to assume that Fletcher produced the album himself.) 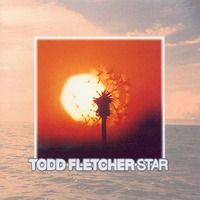 Fletcher has a unique minimalist style that lends itself to desert ambience and arid soundscapes. The atmospheres create subtle rhythms that allow the soundworld to shape itself and to flow naturally. Deep listeners will feel the angst and loneliness of the barren desert landscape. The wide-open atmospheres envelop and abandon listeners evenly. This is a deep journey not to be taken alone or lightly. As with all desert ambience, especially American desert ambience, comparisons to Roach are inevitable and valid. Listeners who get beyond the similarities are in for a treat. This hard-to-get classic is essential.